Most people desire promotion, but not everyone receives it. Is that you? The Scriptures show how an excellent spirit is what got Daniel promoted. Whether it’s in a job, among your friends, in your church, or whatever your situation, discover how to position yourself for promotion. 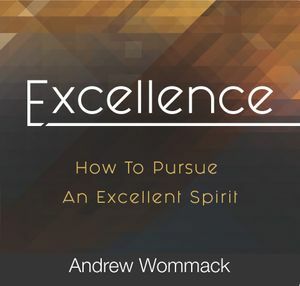 With this teaching, you will learn what it means to have an excellent spirit. Identify with who you are in Christ, and go beyond your natural talents and abilities today!